You post image after image on Instagram, but can’t seem to get more than 25 or 30 Likes on each. Your comments are as inactive as a car broken down on the side of the road. You’ve tried every “hack” in the book, but nothing seems to work. A lot of marketers look for the “secret” to get floods of engagement. Well, the secret has less to do with a specific Instagram filter or tactic, and more about understanding how we see and process visual information. Figuring out what attracts a person’s eye to one photo versus another. Believe it or not, a big contributor to why people are more attracted to one photo over another is psychology. Luckily, you don’t need to go through five years of graduate school just to figure out how to get more likes on an Instagram photo. In this article, I’ll show you how to use ten psychological principles to compel people to engage with your Instagram posts. Pretty much every article you read about Instagram marketing and how to get more engagement mentions the same general idea: post great content. 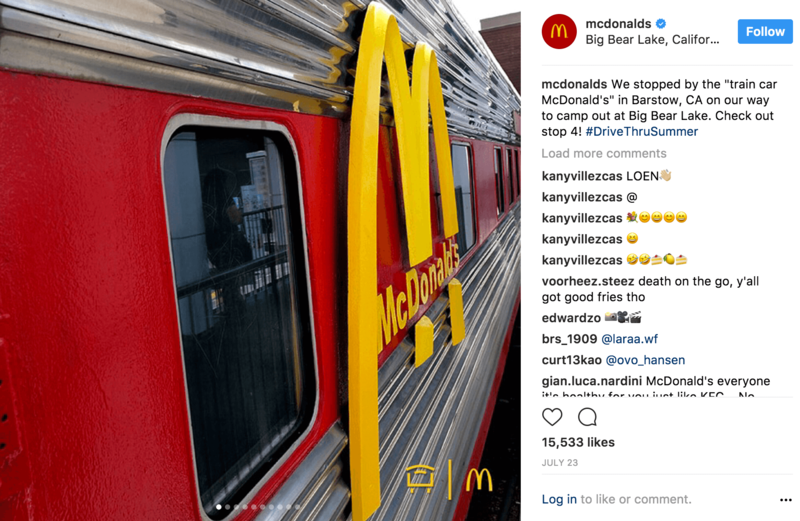 Starbucks, Nike and McDonald’s all generate a ton of engagement on their posts, yet their content is completely different. Starbucks posts a lot of user generated content of customers drinking its delicious drinks. Nike posts motivational videos and photos. McDonald’s posts a mixture of promotional and user-generated content of the iconic golden arches from around the world. Although they all take different approaches, if you go beyond the surface and really analyze their content, you’ll notice some common themes. It’s not about hiring the best photographer or using professional models. It’s about understanding your audience and using a bit of psychology. And that’s what separates this post from other tips you’ll read. We’re leaving the broad “post better pictures” advice at home. Instead, we’re going to look at the elements and reasons behind why your audience gravitates toward certain Instagram posts more than others. First, it’s important to understand this isn’t some new phenomenon. Advertisers and marketers have used psychology to sell products since the 1800’s. For instance, John B Watson was a controversial psychologist and salesman known for using emotion to compel consumers to buy. One of Watson’s most well-known ads was for Pebeco Toothpaste. He created an ad featuring a seductive woman implying that it was ok for women to smoke, as long as they used Pebeco toothpaste. Here’s where the psychology came into play. At the time (the early 1900’s), smoking wasn’t something that was seen as “acceptable” for women to do because it was associated with independence and autonomy. But that didn’t mean women didn’t want to do it. So Watson’s ad targeted that desire. By including an attractive woman in the ad and focusing on smoking, Watson went from selling hygiene to selling seduction. It wasn’t about having healthier teeth and gums. He sold the idea that women could smoke and still be desirable as long as they used Pebeco toothpaste. Times have obviously changed dramatically since then. But many of the same concepts Watson and others used still apply today such as using seductive visuals and appealing to people’s desires. In other words, using psychology to sell. You can incorporate psychology in both the visual elements and copy of your Instagram posts. We’ll break down how to do both. But since Instagram is primarily visual, let’s start there. You might already be familiar with the concept of visual perception. The idea that objects can appear different depending on how you look at them. 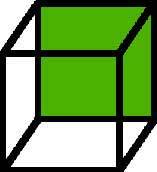 The classic example of this is the Necker Cube illusion. Notice how the orientation changes depending on which cross section of the cube you’re looking at. What we’re talking about here is kind of similar. But rather than focusing on how your mind visually perceives an image, you’re focused on altering the viewer’s emotions in order to get them to engage with your Instagram post. Don’t worry, it’s not about deceiving people or tricking potential customers into thinking they’re buying something they’re not. It’s about structuring your Instagram photos, videos and captions in a way that’s more likely to catch the attention of your followers. Now that you have an idea of what visual psychology is, the next question is how can you implement it into your strategy? If I were to show you a picture for five seconds, then five minutes later asked you to describe what you saw, would you be able to? Your answer might partially depend on the colors in the image, according to Thomas Sanocki and Noah Sulman’s study on color relations. 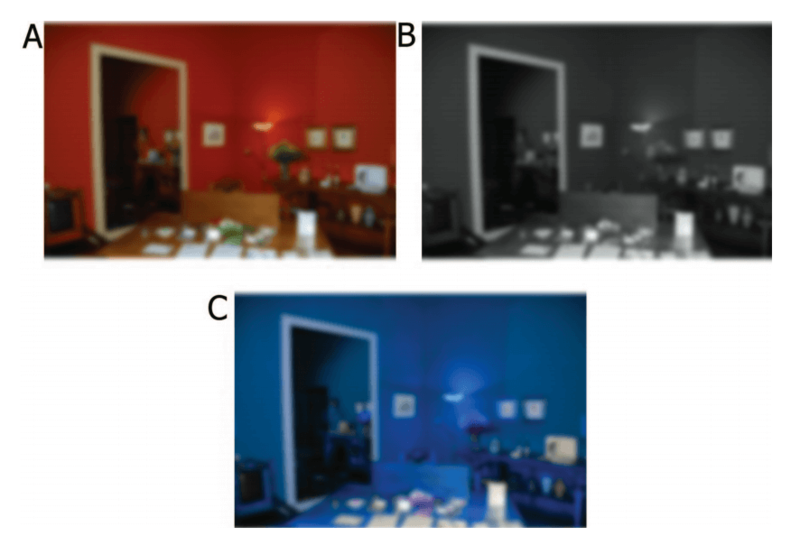 In their research, Sanocki and Sulman looked at the effects of color harmony on short term visual memory. In their test, they showed participants patterns of 9-15 colored squares, with similar and dissimilar patterns. They measured how accurately people perceived color change when they swapped out a few of the color squares. They found that people were able to better memorize the patterns when the colors were harmonious. In other words, using harmonious colors will improve your audience’s ability to remember your photos. 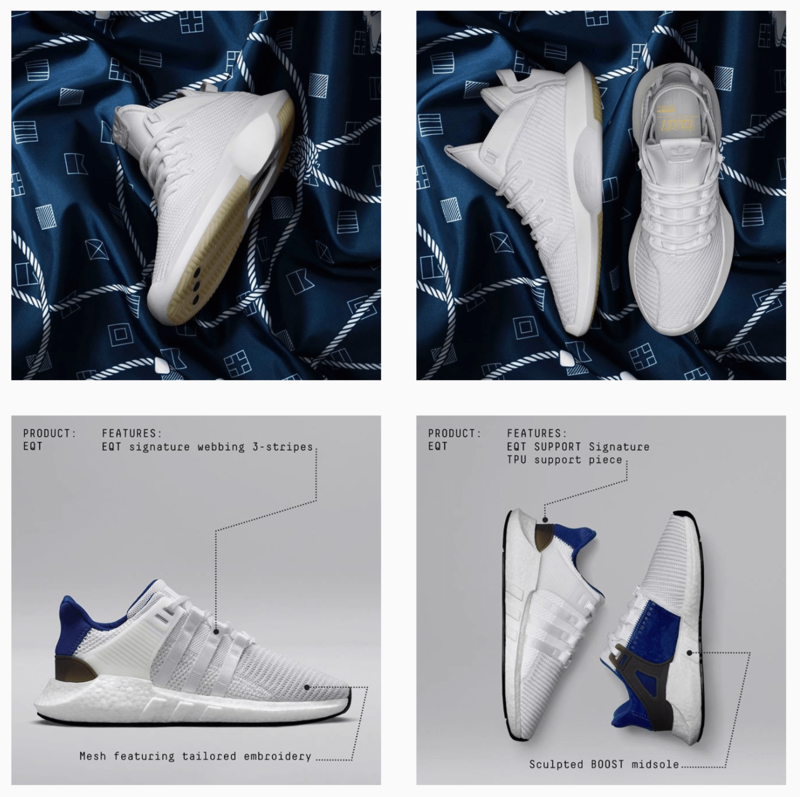 Here are a couple of examples of how Adidas uses the principle of color harmony on their Instagram page. 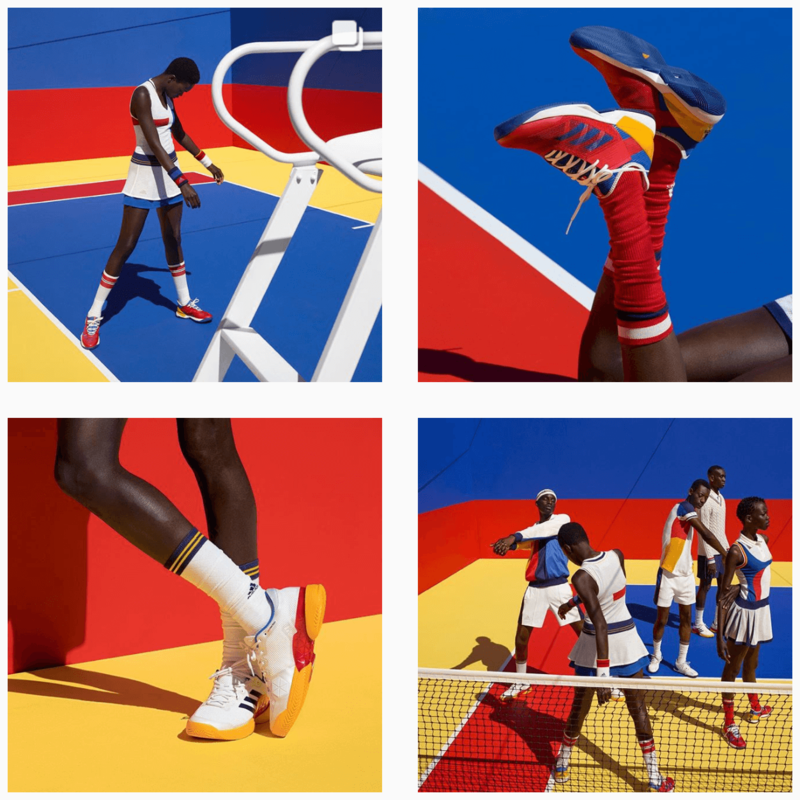 They often post clusters of photos featuring balanced color combinations. So when a user sees their photos in their feed, they can pick up on the theme. Use harmonious color palettes in your photos. Surrounding colors affect our short term visual memory. Use contrast between your backgrounds and the focal point to help your Instagram photos stand out. Use fewer colors in your photos. The more colors you use, the more difficult it is for people to remember your visuals. Scene gist is your ability to understand the context or subject of a photo once your eyes fixate on an image. In other words, your ability to get the general “gist” of what you’re seeing. You may not realize it, but most people are able to recognize what an image is within seconds of seeing it. In fact, one study found viewers can get the gist of a scene with over 80% accuracy after processing a visual for as little as 36 milliseconds. So what does this have to do with your Instagram photos? When people scroll through their Instagram feed, are they able to immediately recognize what your photo is about? The easier it is for people to process your photo and identify that it’s something they’re interested in, the more likely they’ll be to stop and actually look at it. The next question is, what can you do to improve the scene perception for your Instagram posts? Well back in 2008, researchers Monica S. Castelhano and John Henderson did an experiment that might help you out. Castelhano and Henderson wanted to explore the influence of color on a person’s ability to understand the gist of an image. They showed participants a quick presentation of a scene, and immediately after they were shown the name of a target object. Participants had to state whether the name of the object was consistent or inconsistent with the photo they were shown. Here’s another example, which was used to test the impact of color variations. 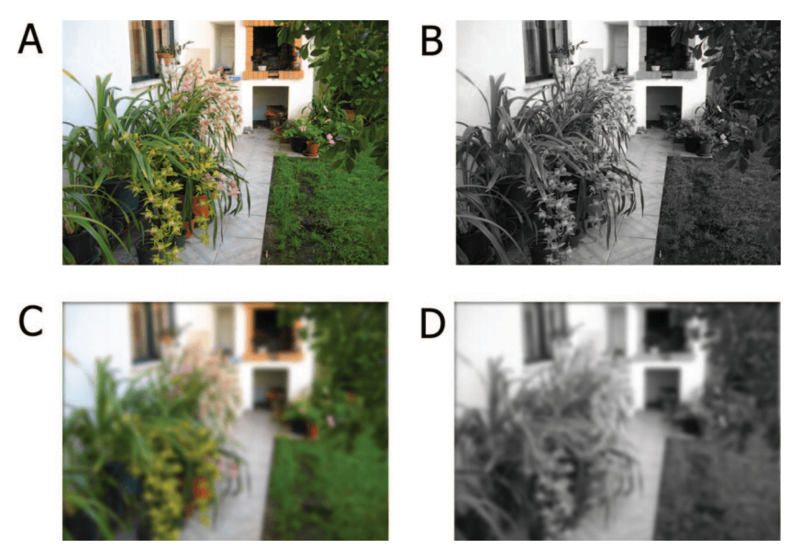 Through the experiment, Castelhano and Henderson concluded that color is directly associated with scene gist. The closer an image was to its natural color/appearance, the easier it was for people to get the gist of what they saw. American Airlines occasionally shares photos with filters. But they do it in a way that doesn’t make the photos unrecognizable or too over the top. It’s easy to understand the scene gist in any of their photos. Avoid getting too “creative” by editing your photos to the point that they’re unrecognizable. Steer away from filters that dramatically intensify all the colors of your photos. For reference, Canva found the most liked filters on Instagram are Clarendon, Gingham and Juno. Make sure your photos are easy to recognize. Abstract photos or pictures from odd angles are more difficult for people to interpret, so you risk getting overlooked. What’s the first thing you think of when you see the photo below? If McDonald’s came to mind, you just experienced priming in action. Visual priming is when exposure to one stimulus impacts your response to another. For the example above, that combination of red and yellow are synonymous with McDonald’s because it’s in their logo and the colors their mascot Ronald McDonald wears. Also, I purposely mentioned McDonald’s at the beginning of this article to prime you for this experiment! The concept of priming has been tested and used in marketing in different variations for decades. One experiment in particular was conducted by Naomi Mandel & Eric J. Johnson. In their experiment, Mandel and Johnson tested how the background of a website can influence consumer behavior. They asked participants to compare two different car brands on a webpage. On one page, the background was green with pennies on it. The other was red with flames. 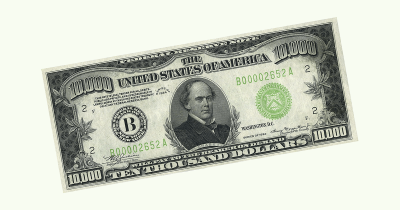 Participants that saw the green background spent more time looking at the price, since green and pennies are both associated with money. Those who saw the red version were more focused on the safety features since red and flames can symbolize danger or an emergency. Through their experiment, Mandel and Johnson were able to conclude that consumers’ actions could be impacted by surrounding visual stimuli. Aside from McDonald’s, another popular brand that does priming well is Coca-Cola. Their Instagram feed is packed with their signature red color scheme and logo. They maintain that consistency so when you see one of their posts in your feed, you immediately think about their products. In the screenshot below, notice how they even implement red outside of their logo by adding it in a jacket or the less subtle popcorn bucket. Try incorporating brand colors into your Instagram photos so people begin to associate those colors with your brand. They’ll be more likely to stop and look at your photos and engage since they have a sense of familiarity. 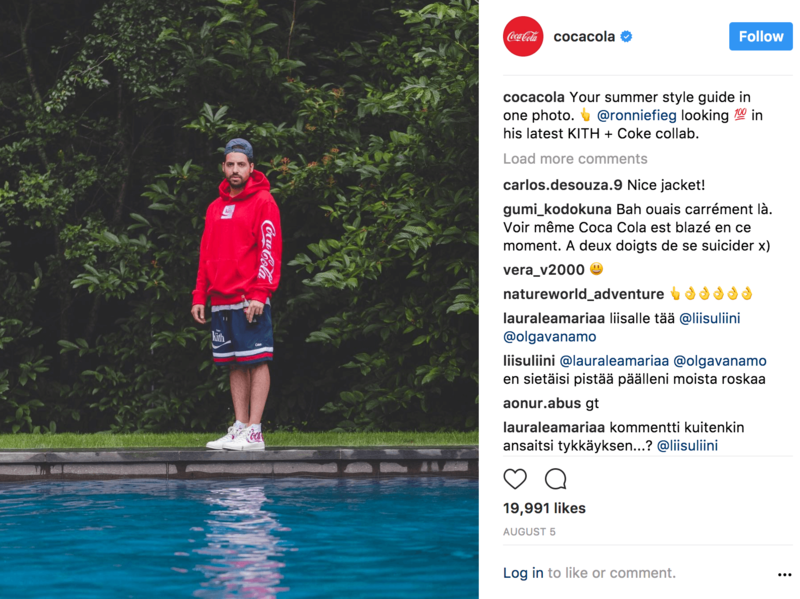 Coordinate your Instagram photos with your other marketing efforts like ads, blog posts and other social media messages. That way, when people see your Instagram post after seeing an ad on Facebook or elsewhere, they’re more likely to take action on it. You may not know it by name, but chances are you’re familiar with the Baader-Meinhof Phenomenon. Essentially, it’s when something you’ve recently heard about, thought of or experienced starts popping up constantly throughout your life. One of the most common examples of this is when you’re shopping for a new car. Once you decide on a car, you start seeing it everywhere. It’s not that everyone suddenly bought the exact same car you’ve been eyeing. It’s that you’re just starting to notice it more since you’ve recently thought about it. Baader-Meinhof Phenomenon is a combination of two different processes happening in your brain at the same time—selective attention and confirmation bias. Selective attention happens any time you learn something new. Since it happened recently, it’s fresh in your mind and you’re paying more attention to it than anything else. For instance, here’s piece of information that might be new to you. The color blue is associated with dependability, security and trustworthiness, which is why brands like Walmart and Facebook use it. Now that you know that information, you’ll probably start noticing the use of blue in advertising and logos a lot more. The second half of the equation is confirmation bias, which is your brain’s tendency to interpret new experiences as confirmation of your existing beliefs. So after you’ve experienced this new thing and start noticing it more frequently, you try to rationalize why you’re seeing everywhere. And because of confirmation bias, you assume it’s because everyone else knows the same thing you just learned. So back to our blue example. Now that you know about the psychology behind the color blue, the next time you see a brand use it, you’ll probably assume it’s because they want to convey a sense of security and trustworthiness. 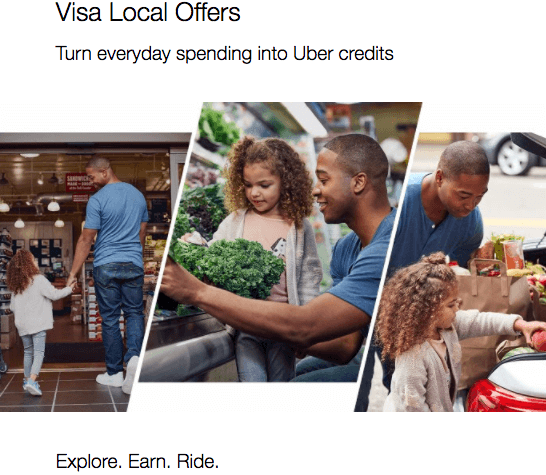 Uber has recently been promoting their new Visa Local program. In order to spread the word, they’ve used a combination of emails, social media and other tactics. 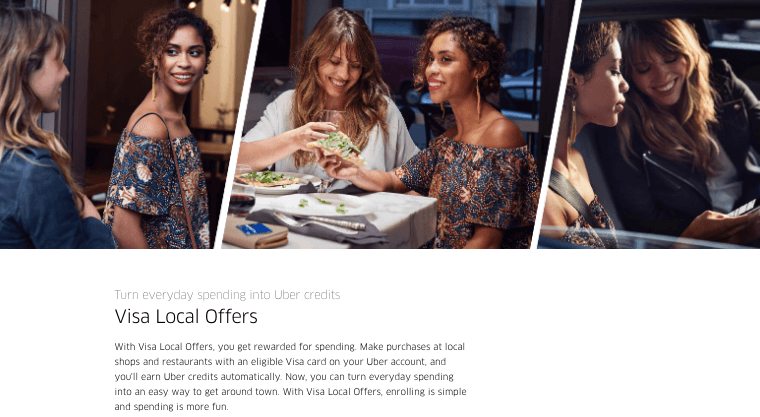 And they use consistent imagery (people shopping around town with the diagonal frame) and copy (explore, dine ride) across each platform to embed it in your mind. 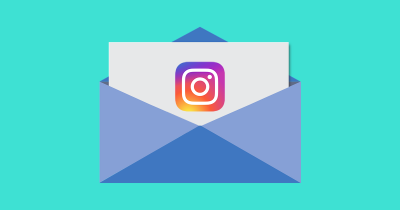 Run an Instagram remarketing campaign against people that have visited your website in the past 30 days. 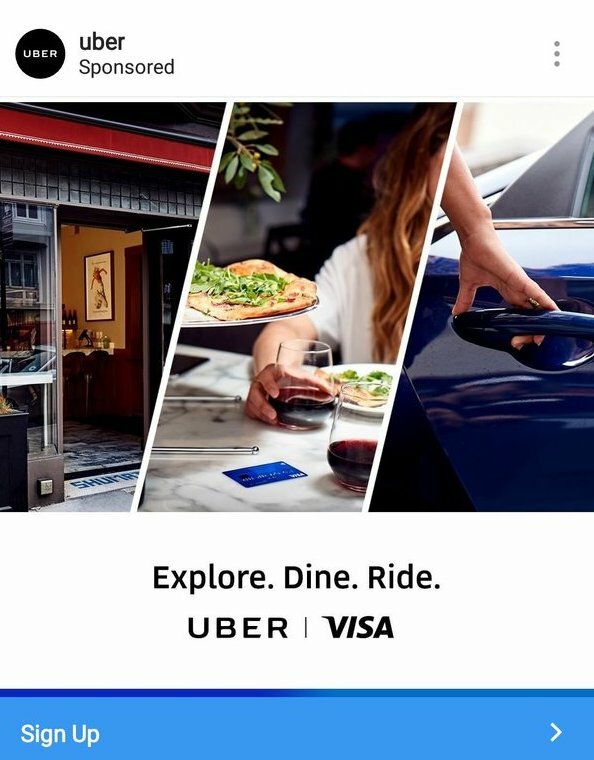 Use elements from the page they visited in your ad’s visual and copy. Create Instagram posts based on trending topics. Your audience has probably noticed the topic more frequently since it’s trending, so they’ll subconsciously be more drawn to your post. The isolation effect is probably the simplest and most straightforward principle on this list. As the name suggests, the isolation effect takes place when something stands out because it’s different than everything surrounding it. For instance, if you see a row of red pens and add a single white one, the white pen is going to stand out because it’s different. Relating this back to Instagram, there are a few ways you can put this principle into practice. One would be to make the focal point of your pictures significantly different than the background. Another option is to look at competitors in your space and analyze what they’re doing. Then, try to share photos or videos that are different, so they stand out in your audience’s feed. One brand that uses the isolation effect well is BMW. The car manufacturer’s feed is filled with photos of their cars in different environments. While some of the backgrounds are Instagram-worthy on their own, the focus is always on the vehicle. Isolate the focal point of your photos from the background to help it stand out more. Think about your Instagram photos in relation to everything else in your target audience’s feed. What can you do to isolate your content? When is the last time you saw a beautiful photo of a forest, beach or natural landscapes and didn’t hit like? Aside from the fact that these photos tend to look like dream vacation spots, there’s another reason you’re drawn to photos of nature—the biophilia effect. The biophilia effect/hypothesis asserts that humans are innately drawn to nature or “living things.” It also suggests that views that are rich in nature help relieve stress and increase your focus and concentration. Architects commonly use this principle when designing buildings by doing things like allowing natural sunlight, incorporating indoor gardens and other elements that emphasize the great outdoors. While you might not be able to physically bring your followers outside with your photos, you can create a similar effect that’ll help get more engagement for your Instagram posts. If you want to see the biophilia effect in action, look no further than National Geographic. Even before the days of social media, National Geographic was well known for capturing breathtaking photos and videos of nature. Instagram gives them a platform to share even more frequently. 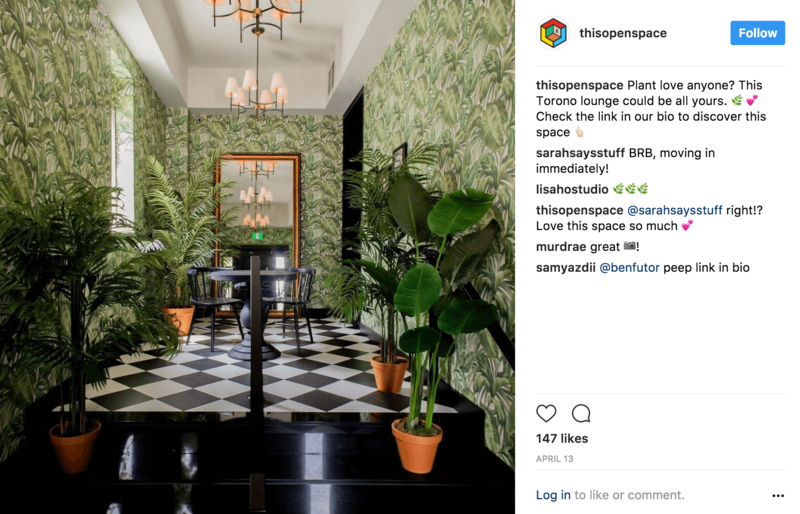 And their engagement numbers show just how powerful the biophilia effect can be on Instagram. Share photos of parks, forests or other natural environments. Add natural elements into your photos like plants, natural sunlight or even an open window in the background. Consider regramming photos of customers using your products outside, if applicable. Social proof is easily one of the most popular psychological tactics used by social media marketers. Social proof is the idea that people’s actions can be influenced by the actions or opinions of others. For instance, three of your friends tell you a movie is really good, so you go watch it because you value their opinion and don’t want to be left out. There are a lot of studies to support the effectiveness of using social proof to influence consumer behavior. One of the most popular of which is the Solomon Asch Conformity Experiment. The participants had to choose which line (A, B or C) was most like the line on the left. But here’s the thing. 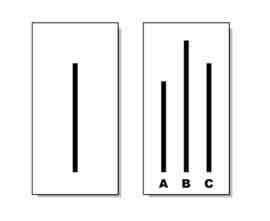 For each round of the experiment, Asch told all but one participant to pick line A or B, even though C was clearly the correct choice. During the tests, 75% of the unknowing participants conformed to the general consensus and gave the incorrect answer. Here’s how to apply that same principle to Instagram. Instagram has amplified the power of social proof by giving you a constant stream of the things your friends, family and influencers you follow enjoy. As a marketer, if you can get the people your target audience trusts to endorse or promote your brand, they’ll be much more likely to engage with you. The reason people don’t engage with your photos isn’t always because they don’t like your content. They just might not be aware of you. But if they start to see your brand pop up in photos and videos their friends post, they’ll become intrigued. Not only that, but if you can get tagged in posts from people they follow, your content has a better chance of showing up in their Explore tab due to Instagram’s algorithm. 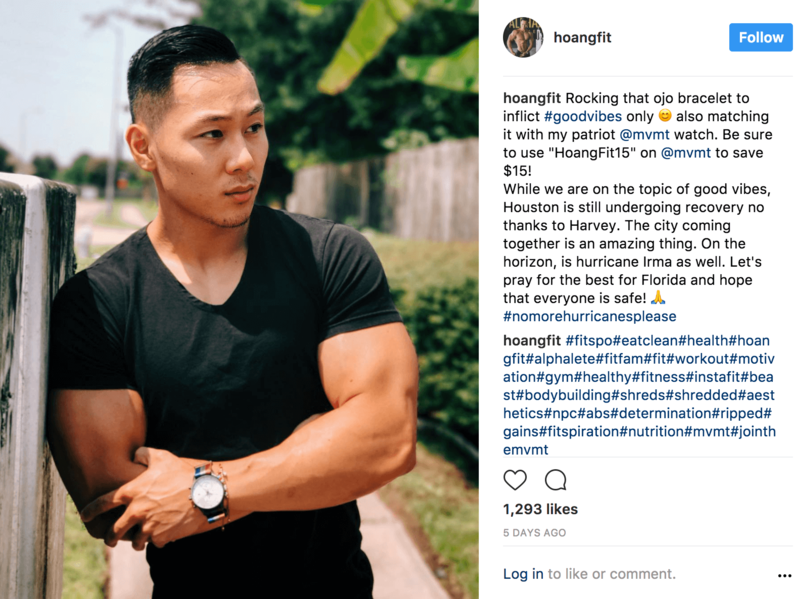 If you follow any popular fitness or lifestyle influencers on YouTube and Instagram, you’ve probably noticed a growing trend. Many of them are teaming up with lesser-known startup watch companies offering affordable luxury style watches. One of the most popular of these watch brands is MVMT. 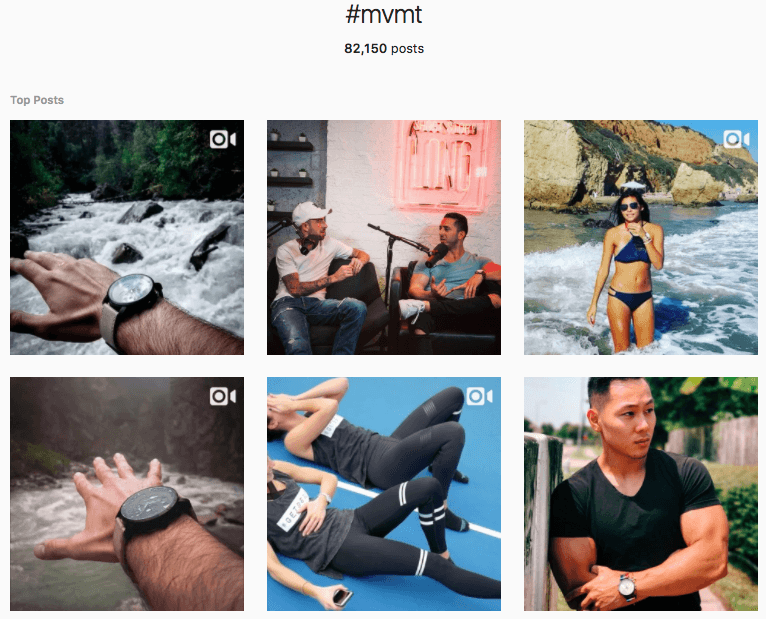 MVMT has worked with several influencers over the past few years to help build a massive following of over 800K followers on Instagram alone. With a network of influencers with audiences totaling into the millions, they’ve been able to amplify their reach significantly. And it’s part of the reason their hashtag #MVMT has been mentioned over 80K times on Instagram. And the posts from their influencers attract a lot of attention and engagement. Instead of trying to get in front of each one of your target customers, focus on getting in front of the people they already follow. Work with influencers to promote your brand to their audience. Being recommended by them builds instant trust and credibility for your company. We’ve talked about visual psychology, but there’s another important piece to this puzzle. Don’t forget about your captions! Although visuals reign supreme on Instagram, your captions are an opportunity to spark conversations or push people to take a specific action. If your posts aren’t getting any comments or engagement, try these psychology “hacks” in your captions to compel people to take action. Copywriters have a way with words. They understand that using certain phrases will elicit different responses in consumers. When you see billboards or online ads, the words used have likely been carefully chosen for a reason. While some copywriters study and practice for years to truly master the art of writing persuasive copy, it’s not a skill everyone owns. But that doesn’t mean your captions have to suffer. You: Text with “you” feels more personalized. You feel more engaged when you feel like someone is speaking directly to you. This effect is amplified even more by using a person’s name. Free: I’m sure I don’t have to tell you people love free stuff. A lot of it has to do with loss aversion, which is our fear/dislike of missing out on something like a free deal. Be careful with overusing free though. After a while it loses its impact and you start to only attract freebie seekers rather than potential customers. Because: This has to do with the justification effect, which I’ll explain a little later. Instantly: If there’s one thing people value, it’s their time. 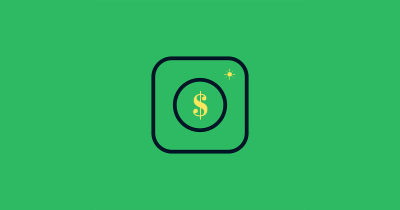 And companies like GrubHub, Stitch Fix and SpotHero show that people are even willing to pay a premium to get what they want quicker. Using the word “instantly” conveys a sense of immediate satisfaction. If you do “A” then you will get “B” right away. New: While consumers can sometimes be unreceptive to change, the reality is humans do favor innovation and upgrades. It’s why Apple is able to release slightly new versions of iPhone every year and sell out. The term “new” represents a fresh experience, and that’s appealing to a lot of people. Particularly right now when increased competition and consumer demand is pushing brands to innovate faster and faster just to keep pace, which is similar to the Red Queen’s race theory. Something to keep in mind is that just throwing these phrases into your Instagram captions won’t magically make people engage. But strategically using them in conjunction with the other tactics in this article can increase your chances of getting people to take action. Photos of food on Instagram tend to sell themselves. 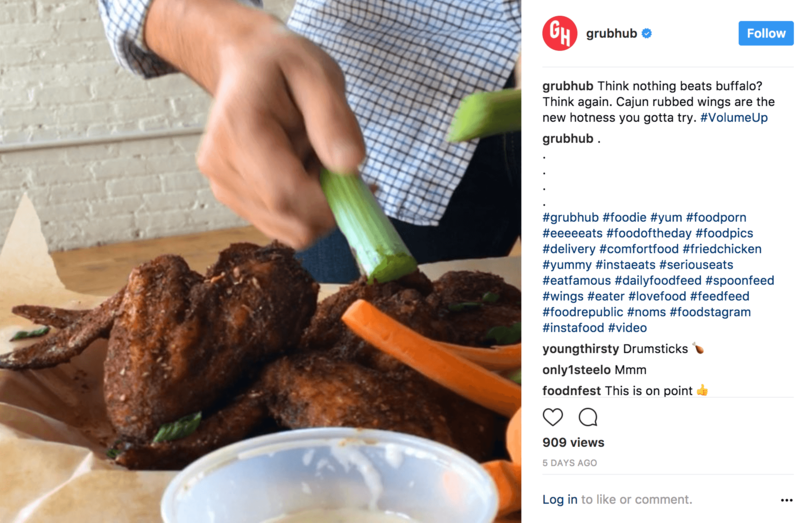 But that doesn’t stop GrubHub from enticing you even more through captions that often speak directly to the viewer. Check out this caption below where GrubHub has a casual and conversational tone, as if they’re speaking directly to you. Implement persuasive phrases in your captions to get people to take action. Use the five persuasive phrases mentioned above strategically, to maximize their effectiveness. Did you know the order in which things appear in a series impacts your ability to remember them? According to the serial position effect, you’re more likely to remember things that appear at the beginning or end of a series than the middle. Primacy: Things that appear or happen first are more of a priority because they “set the tone” of what’s next to come. Recency: Things that appear or happen last are more relevant since they’re closer to present time. To translate that into an Instagram caption (or any other type of text) you’re more likely to focus on the beginning of what you read because it’s what leads you into the rest of the text. And you’re more likely to remember the last part of what you read because it’s still fresh in your mind, kind of like confirmation bias mentioned earlier. You can use serial positioning in your captions by making sure the most important parts of your captions are at the very beginning and end. For example, if you want to include a call to action for people to leave a comment, make it the last sentence of your caption. If you bury it in the middle, people are more likely to overlook it. Here’s an excellent example of serial positioning in an Instagram caption. In this post from Thisopenspace, notice how they lead you in with a question to pique your curiosity. Then it ends by telling you exactly what action they want you to take. Be aware of the order of your words in your captions. Make an effort to organize them in order of importance. Think of your captions as a story. The first sentence should immediately hook people in, the middle should keep them engaged as much as possible and the end should leave them with something memorable, preferably some type of action to take. When someone asks you to do something, your decision to do it is partially influenced by the wording they use. At least, that’s what the famous “Xerox Study” from 1978 found. The experiment has nothing to do with the actual Xerox company. It was about people’s willingness to agree to someone’s request to use a Xerox machine based on the way they were asked. Which sentence do you think had the highest success rate? It’s probably not much of a shocker, but 94% of people allowed the line cutters to get in front of them when using the first approach. The second highest response rate was the third approach, at 93%. And last was the second approach with a 60% success rate. Notice the main similarity between No. 1 and No. 3 is the use of a single word—because. That tactic is what’s known as the justification effect, and it’s a very popular copywriting technique. The justification effect shows that people are more willing to agree to a request if given a reason to do so. Not only that, people will automatically assume your request is valid because of the justification. You’ve probably noticed this in your day-to-day life. Whether it’s a spouse asking you to run a chore, a friend asking to borrow money or a co-worker asking you to cover their shift, you’re more likely to agree if they give you a justification first. There’s nothing wrong with simply asking for a like or comment. But you’ll get a lot further by following up with a justification for your request. Have you seen brands use “linkinbio” in their captions to push you to click through to their site? While that tactic can be effective, it’s even more powerful if you do what Whole Foods did and mix in the justification effect. In the caption below, notice how they give people a reason to click on the link in their bio. 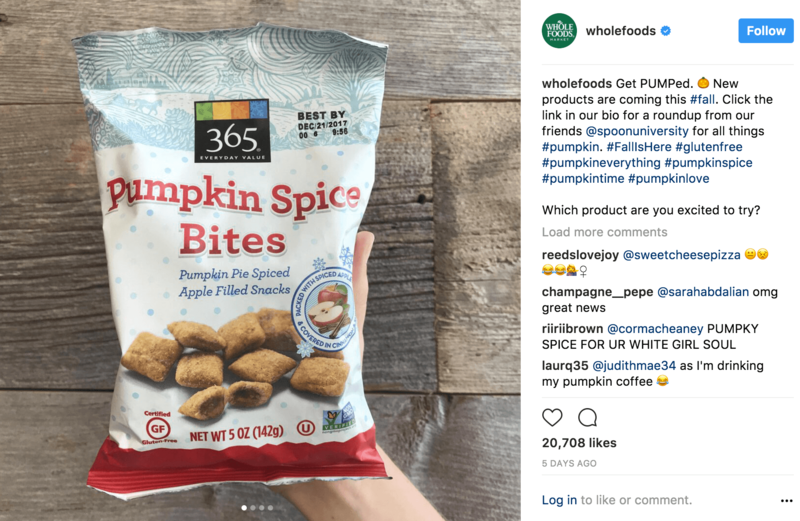 A lot of brands would’ve just stopped after “New products coming this fall” and pushed people to their bio. But Whole Foods makes sure people know why they should click through to make it worth their time. Don’t just tell your audience what to do. Explain why they should do it. All of these psychological principles and tactics can help your Instagram posts generate more engagement. But keep in mind that they aren’t magic fixes. There are other elements that come into play such as brand perception, how often you engage with other accounts, the hashtags you use, posting frequency and more. Make sure you’re using popular and relevant hashtags to increase discoverability. Use Instagram Stories. Stories appear at the very top of users’ feeds so they stand out. 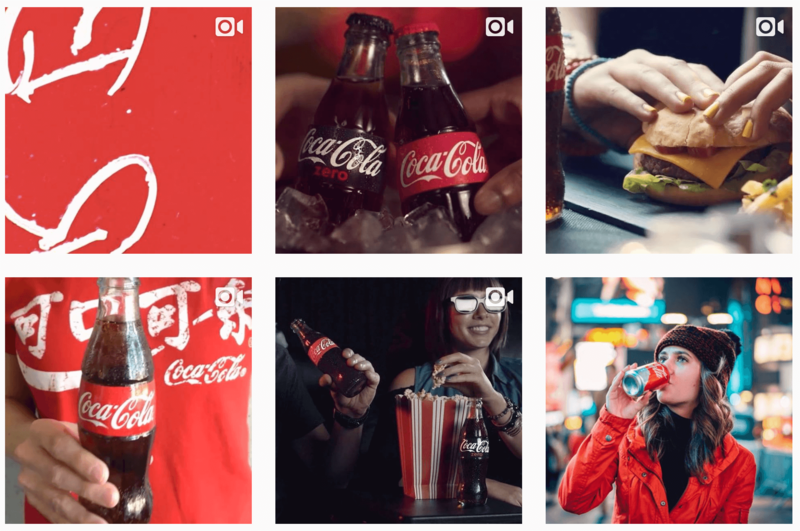 Try Instagram Ads to boost brand awareness. Engage with other users by liking and commenting on their photos daily. Monitor your Instagram analytics to track what is and isn’t working. Then adjust your strategy based on your data. Most importantly, be willing to dedicate the time and effort it takes to truly build an engaged audience on Instagram. The platform is constantly growing, which makes it increasingly difficult to stand out. But with the right strategy and tactics, your brand can see amazing results. About the Author: Dominique Jackson is an SEO specialist at Sprout Social, a powerful social media management tool for businesses of all sizes. Try Sprout free with a 30 day trial!